Floating sky cities maybe.. but terraforming all of Venus? Venus’ atmosphere is primarily CO2. Were we to figure out a way to easily break down that molecule to create an oxygen rich atmosphere and somehow blow off, collect or sequester the carbon, then maybe? BUT, it is possible that Venus is constantly producing CO2 via volcanic activity and therefor replenishing that greenhouse gas at far too high a rate to compensate for? Drop a world ocean (Europe, Ganymede) on it, come back in a few million years after the newly molten crust hardens. Even successful terraforming doesn’t mean that it is livable for human beings. Earth itself has been livable for us only during a short period of time. Life started here with conditions which we cannot survive. Any living planet will have its own unique evolutionary path of life, atmosphere and geology. It is not enough to make a planet habitable, we have to make it a copy of present Earth in order to live there. Sorry to rain in on Fraser’s parade, but floating cities or factories won’t work on Venus. That’s because of the incredible wind speeds (“Strong 300 km/h (190 mph) winds at the cloud tops circle the planet about every four to five earth days” – wikipedia) and the much higher density of the atmosphere. Those combined would make it impossible for any large structure to survive, not to mention the sulfuric acid. Pfftt… that’s not a problem. We just make controlling the winds part of the project. It’s gonna be a piece of cake. Dude, one Venus day is 243 earth day’s , not 116, interesting article though. That’s the amount of time it takes the planet to rotate. But that does not mean it takes 243 days for the Sun to return to the same place in the sky. That is what is known as a Solar Day, which is the result of both the planet’s rotation around the Sun and on its axis. the surface of Venus heats up and carbon dioxide outgases from the surface. Also, Venus is closer to the Sun, and that would make Venus hot. The far side of Venus is also dark for the same period of time, and therefore should radiate enough heat to balance out the temperature. Mercury is closer to the Sun, but temps drop sharply on the dark side due to a lack of a significant atmosphere. The atmosphere absorbs the heat and does not let it dissipate quickly enough, so the runaway greenhouse effect is indeed a reality, despite what some politicians choose to believe. Maybe heavy bench pressing and unbalanced training program has rotated Fraser’s shoulders forward in an unnatural way. Yep. Bioengineering, and make it excrete pure carbon in some dark inertish form such as buckytubes or graphite. The flakes of graphite would sink, raising the oxygen content in the atmosphere, and making the planet darker. You may then get large chemical convective storms as 2.CO2 -> 2.CO + O2 in the lower atmosphere and the reverse reaction in the relatively cool upper atmosphere. This would fetch heat from the surface to be radiated out into space. That, plus a reflector at the inner Lagrange point to block some of the sun. @Lynxworx A very similar suggestion was published in Popular Science about 55 years ago (1959, as I recall… maybe April or May issue). The author at that time suggested seeding the upper atmosphere with a hardy strain of bluegreen algae which would feed on the CO2 and sunlight in the cooler atmosphere, releasing oxygen and shading the surface as it spread. Eventually the older algae would grow heavier and sink, burning up and dropping carbon residue. At some point, the author figured, it would be cool enough for rains to start and further clear the atmosphere and cool the surface. I remember reading this when I was about 10 years old and thought that it was such a great idea that it has stuck with me ever since. Thought it would be a good sci-fi story to have someone find a way to secretly stash a container on a Venus bound probe and release it high in the atmosphere. I wonder if Popular Science has an archive? Are you folks sure you’re not thinking of Sagan’s suggestion, circa 1961 and published in Science magazine? He made this very same suggestion, using genetically-modified algae to convert the CO2 into graphite and water. And the proposal became unfeasible due to the subsequent discovery of sulfuric acid in Venus’ clouds. Sun screen, lots of sun screen… No really. All we have to do is wait several hundred million years or so.. then move on in. OR praps it won’t take that long? Solar output might change and strip Venus’s atmosphere much faster? Of course, if that happened, we’d be breathing vacuum here on Earth too? IF we ever succeed in terraforming Venus.. will there be Taco trucks? “Days of yore”? Cut! … Yes, I’d have to try a second or third take, too. 🙂 And while one might think a quick trip to the 420 apothecary might be in order, this is a tough problem requiring at least a few minutes of “real” clarity. Aqua4U, I’d agree with you that there must be a replenishing source for the CO2 and I would love to see the best paper on an Venusian atmospheric model that points to some X rate of CO2 production from the surface. Consider that even more brisk Solar Wind and Flux have been doing the same thing to Venus as with Mars, that is, without a magnetic field, stripping off the atmosphere for billions of years. The idea of sequestering CO2 onto the surface by cooling doesn’t hold water. 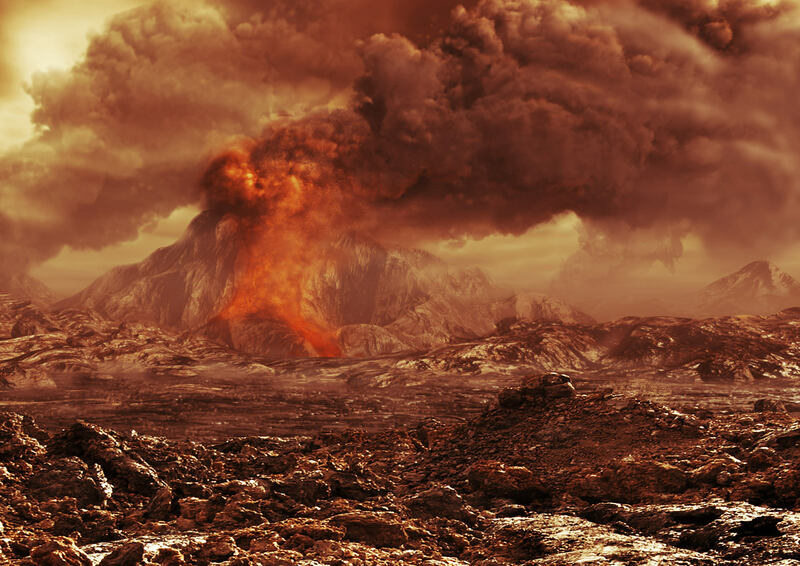 If Venus’s interior remains hot and active volcanism is common, a tug of war would ensue between the cooling and production of dry ice and reheating of the dry ice by surface rock. Iceland has such interactions. I would think that the dry ice would win but there would be many regions where the venu-thermal heat creates geysers – all kinds of outgassing. For Venus, I don’t buy the idea of impacting one or many asteroid or cometary objects. Too messy. This “terraforming” requires finesse. One alternative would be to move a cometary type object to the Venusian-Sun L1 point and let the Sun’s heat create a cooling shade from the outgassing of the object in front of Venus. It may not work as planned but it would be very cool looking for Earth observers! Another approach would be to declare CO2, plus energy, our friend. Rather than freeze out CO2, why not use a likely common element in the Venusian crust – Silicon to produce a completely stable and disposable compound – Silicon Carbide. There’s plenty of heat and Solar Flux and it would be needed. This would leave Oxygen that would be attractive to Earthlings but also generate some oxidative processes on the surface that would be interesting in the least. Next consider finishing what nature has not – despinning the planet. First, fix a single humongous propulsion system on the surface that would: 1) despin the planet, 2) propel Venus into an orbit at superior conjunction to the Earth (the opposite side of the Sun), 3) while doing all this thrusting, expel some amount of the CO2 atmosphere off the planet by way of the incredible thrust plume. Only problem with this orbit change is that one would have to do it in a single Hohman transfer orbit with an accompanying final thrusting maneuver to settle it into an Earth orbit; avoid fowling up the Earth’s orbit that we prize so highly. With that much propulsive energy at your disposal, you could choose to spin up the planet when ready. So what does one get after all this trouble? Take Lake Erie. Dry it out and propose putting track homes on its dry lake bed. One would have some serious concoction of chemicals on the surface, some just natural stuff and others from oxidation and from the heat added and subtracted from the system. Even if one created a 100,000 Pascal atmosphere with O2 and inert N2 (oh yeah), the chemical dust circulating in the atmosphere could be really toxic. So one would have a facsimile of an Earth environment and be stuck living under domes for centuries or millennium. So rather than vanquishing our beautiful evening and morning star by orbital mechanics and similarly destroy the incredible frozen deserts of Mars, why not produce the spherical habitats such as in Rendezvous with Rhama to offer humans a habitat beyond our surface. In the near term, inflated dome habitats made of thin film graphene on the Martian surface will be much more achievable – leaving most of Mars in its incredible natural state which is what attracts us to the planet in the first place. Elon Musk can retire in something more modest but his descendents would surely be something of Martian blue bloods. And the Earth during all this time when we could begin terraforming Mars or Venus would be undergoing a transformation. To Eden. Despite every generation over the last 2 millenium having several predicted apocalypses, we are still here. We huddle upon just 1/10th of our surface while having quadrupled our human population in just over 100 years. But this will change. Education, World communications and some inevitable technological advances will lead, despite some chaos along the way, to a shrinking of the population to maybe about 2 billion humans within 500 years. The Earth’s ecosystem will be restored and the comfort of home will make destinations such as orbiting habitats or domed colonies on Mars or the Moon incredible places to visit and for a few to live and become Martians or “Spacetians”. Human sub-species will develop but not necessarily inclined to procreate into billions. Cool thought, but I would say, economically infeasible. It would be easier to build an artificial planet than it would to terra-form Venus. Advantage of building an artificial planet is that it can start at a certain size and grow. Venus would be an all or nothing proposition. Venus might make a good source for materials, but then again there are asteroids already in space. Venus could be used as a gravity well for the artificial planet. Setting the rotation on the artificial planet would be a breeze. We would need to come up with some form of artificial gravity and atmosphere. I think that the first terraforming will actually be on the Moon. Mars is to far away, and, it would not make a good space port, because of the escape velocity. The Moons escape velocity is very low . . . . you would have plenty of fuel left after leaving the Moon. Asteroid mining is a cool idea, but to build spaceships anywhere other than on Earth, there will have to be some way to protect the builders from radiation exposure. Underground caverns on the Moon can accomplish that. The Moon has been proven to be very much like Earth, so chances are there will be plenty of the raw materials we would need. 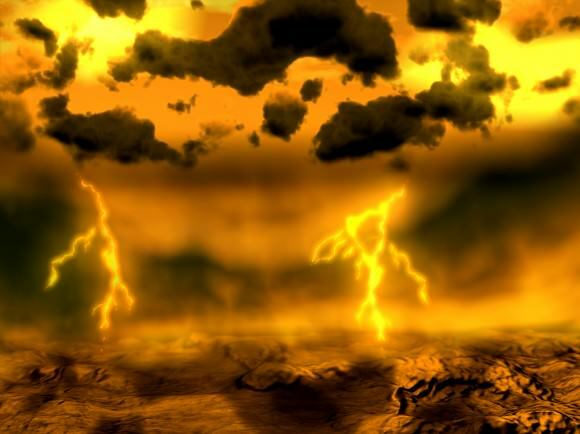 An interesting question is just how much sulfuric acid there is in the clouds of Venus – according to one source there’s about ~5 milligrams of H2SO4 per cubic metre in the middle cloud deck. Thus a square metre frontal area exposed to a wind moving at 1 m/s will encounter 5 milligrams of acid per second. For comparison a cumulus water cloud on Earth has about 300 milligrams per cubic metre, thus the sulfuric acid clouds of Venus are comparatively thin. As for the 100-110 m/s winds of Venus, no one imagines the Cloud Cities will be anchored to the ground and expected to withstand such wind. Instead they’ll ride with it, producing a 4-day ‘sol’ rather than the surface’s 116 day sol. The danger isn’t windspeed, per se, but wind shear. And that’s much lower on Venus than Earth at the elevations of interest for floating colonies and bases. Aircraft on commercial routes, here on Earth, regularly fly with, across and against winds of such speeds in Earth’s tropopause. A suitable lifting body structure could be anchored to the ground and tap the wind for lift and power, assuming high temperature anchor cable up to the task. Total mass of sulfuric acid is about ~70-300 tonnes per square kilometre of surface. Sounds like a lot, but it’s much less than a millimetre of rain (=1,840 tonnes per square kilometre for sulfuric acid). In the far far future maybe, transform the inner planets. Resources would be better spent to colonize the moons of Jupiter/Saturn where we know their is elements and water. Drill into the ice, and form sheltered ice colonize The pluses … No radiation, unlimited fuel, and close by resources. And the downsides are the major distances involved, which lead to transportation and communication issues. And harvesting those resources for anything other than in-situ utilization would be very time consuming and expensive. It only makes sense to colonize out there if you’ve got infrastructure from here to Ceres. I see no point in building mirrors and solar shades. Such structures would have to be enormous, and the materials and effort involved would be better spent on space stations. The long rotational period would be problematic for any vegetation, and the lack of a strong magnetic field would also allow intense radiation in, which would still make the planet to dangerous to settle permanently. The “cloud cities” idea is probably the only feasible way to do it, but there is still the problem of radiation and high winds. I suppose if there is a steady global wind current, a floating station could simply ride the winds around the planet to achieve a day/night cycle, but I imagine that might be uncomfortable for any passengers. Plus if for some reason the balloons lost pressure, a hot crushing death would await them. Not worth the effort or risks. Mars, Ceres, and the Jovian moons would be better options, other than space stations. There would not be a significant pressure difference between inside and outside (both ~1 bar). So, if your cloud city was punctured for some reason, only relatively slow mixing of the atmospheres would follow. You could cover the hole with a high tech saran wrap until the repair guys find a convenient time to fix it properly. I was figuring such a balloon would need to use helium or another lighter than air gas in order to float to begin with. I love this site, as I love astronomy and space exploration. And then there are articles like this one, the science equivalent of the Monty Python skit “How To Do It!” All sorts of pie in the sky, made of ingredients we don’t know can exist not to mention how to invent, are prescribed as the solution to terraforming Venus. We can’t dam a river without causing major environmental damage. Do we have any concept of the geological or climate effects of spinning up the planet? And, if we can do stuff like that, I think coming up with plants more adapted to a different length of day and year would be a much simpler problem. And one that we might actually have a clue about how to do today. Except of course Venus rotates nearly vertical, so there will be negligible variation of seasons. And then there is the ludicrous tie-in to Climate Change, I suppose in an effort to make us care about the concept. The atmosphere of Venus evens out the day/night temperatures. It rotates 60 times faster, as in twice per Earth week or so, than the planet itself rotates. Earth’s oceans don’t freeze over at night, because the atmosphere distributes the insolation heat globally. It’s enough to spin the atmosphere, don’t need to move the entire planet. The simplest way to terraform Venus is the way earth got ‘terraformed’; get iit a large moon but lets not lend it ours, we sort of need it. Which brings me to another subject; what are we going to do to stop our moon drifting away and spoiling our planet. We won’t notice for about 500 million years but on the other hand that gives us plenty of time. We could spread a large light sail across the far side or install a ‘small’ continuous firing rocket. The simplest way to Terra-form Venus is the way earth got ‘Terra-formed’; get it a large moon but lets not lend it ours, we sort of need it. Which brings me to another subject; what are we going to do to stop our moon drifting away and spoiling our planet. We won’t notice for about 500 million years but on the other hand that gives us plenty of time. We could spread a large light sail across the far side or install a ‘small’ continuous firing rocket.